For some years now I have been talking about how home-grown auto companies with relatively fewer years in the business will get the short end of the stick. They simply won't have the time to evolve and mature, as their global rivals have had, because the consumer is done allowing for any concessions for anyone. At the receiving end of this logic of mine, has been our desi SUV specialist - Mahindra & Mahindra. The company is now at the cusp of breaking into a new horizon when it comes to its products, its strategy, and indeed its approach towards both those things. This has been evident in its plans and everything we have heard from it of late. However, now it is beginning at the product end too. Sure, the XUV 500, (the SsangYong takeover and so) the Rexton, then the new Scorpio have shown us glints of that, but it's time for the full 1500-watt spotlight now with the new TUV 300. I've driven it, and I can say it with a large-heaped tablespoon of confidence - it's the best Mahindra yet. Considering what it is meant to be, it's a pretty darn good car too. Here's why - it drives very well, offers excellent control, good ride comfort, and has the best-ever interiors of any Mahindra car to date, thanks to the good plastics, appealing trim and great features. It is built on the shortened version of Mahindra's new ladder-on-frame platform, which we first saw with the new Scorpio. At the time I remember telling you the platform can easily go sub-4-metre too, and here's the first product using the shorter platform. The TUV is boxy looking that harks back to its Bolero heritage (explained later in this piece), and will polarise most of you to either liking or hating it. I find it distinct, especially in the space it occupies - where most designs flaunt curves. Case in point, the EcoSport, Avventura, Creta, and S-Cross. That said, the front bumper does look a bit heavy. Inside, you get the connectivity and gadgets you'd expect these days, and the cabin is reasonably airy with great headroom and generous legroom for a car sits below 4 metres in length. Air conditioning is powerful and the cabin cools quickly. The cabin is finished in a warm beige and the dash layout and pattern is very good looking. I like the new steering and its feel and size. Yes, this is all way better than the new Scorpio's and even the recently facelifted XUV's interior. So, now you know what I mean? However, the big USP will be the automated manual transmission (AMT). Indian buyers have had AMTs in the hatch and sedan space, courtesy Maruti Suzuki and Tata Motors who use AMT systems supplied by Magneti Marelli. 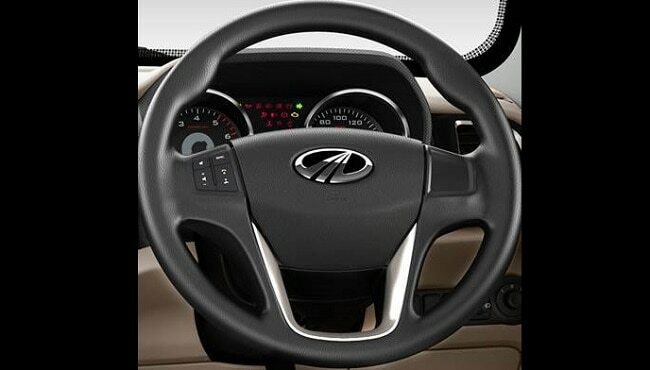 The Mahindra system has been co-developed with Ricardo, and I found it to have a superior driving character. It lurches less and has a smoother transition through the gears - meaning less need for getting used to it, smoother shifts, and hence more driving pleasure. The car drives with the typical grunt of a Mahindra, and while I would've expected greater refinement I have to say the mHawk80 does deliver. Good low and medium-end torque gives you quick manoeuvrability, and the car's taut proportions help that cause too. Steering is a bit heavy but not disconcerting, and pickup is quick with a minimal touch of lag. The good news is that the engine noise is still the kind of growl some SUV owners would enjoy, especially when you think of the kind of buyer who wants that big-SUV-feel without spending big-SUV-money. I have to admit that, for me, the big obstacle was to get past its name. TUV300 kind of stretches the already 'out there' nomenclature of the XUV500. However, while the latter had the X factor, if you will, TUV will be open to interpretation! 'Tedious', 'Terrible', and even 'Tiny', are some of the things I've heard of late! Just so you know, apparently Mahindra wants the 'T' to stand for tough. In my view, it should simply have been the new Bolero. And believe me that is also the original brief the company's management had given its engineering and design team too! But looks like the marketing team had other ideas. Well, I will get used to the name, won't I? 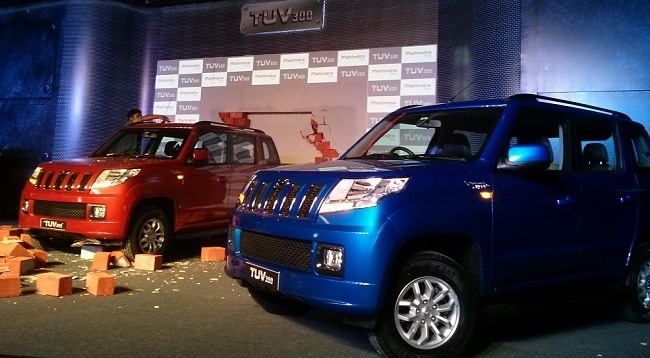 The TUV does feature foldable jump seats at the rear, and so has a third row. But really the true three-row version will be the longer wheelbase fullsize SUV, er...excuse me, TUV that will arrive a few months from now, and will feature the larger mHawk engine. I can at least hope that is going to be called Bolero! 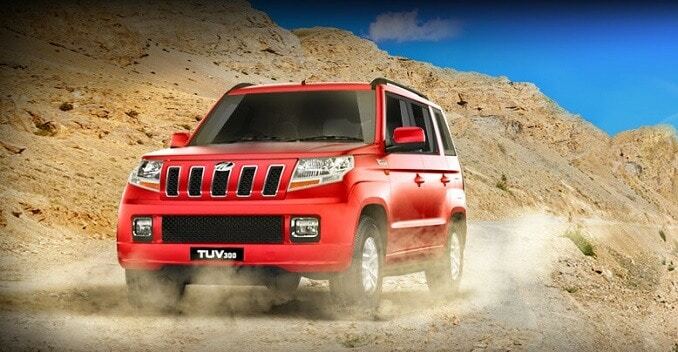 Though I have a sneaky (and sinking) feeling it will be the TUV500. Oh well! I am expecting Pawan Goenka will be sticking to his promise to me, and so expect the TUV300 to have optional airbags even on the base version.